The Good Year Blimp "America" on a stop over at the Niagara Falls International Airport. 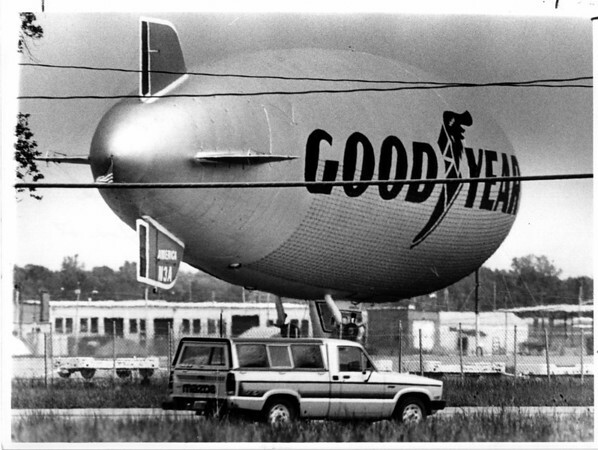 The Blimp was moored East of the Airport along Niagara Falls Blvd. at the end of WILLIAMS ROAD. Photo - By Ron Schifferle - 5/28/1985.